Handshake between Amazon and Apple to bring the music streaming service of the bitten apple on devices of the Echo line at home. 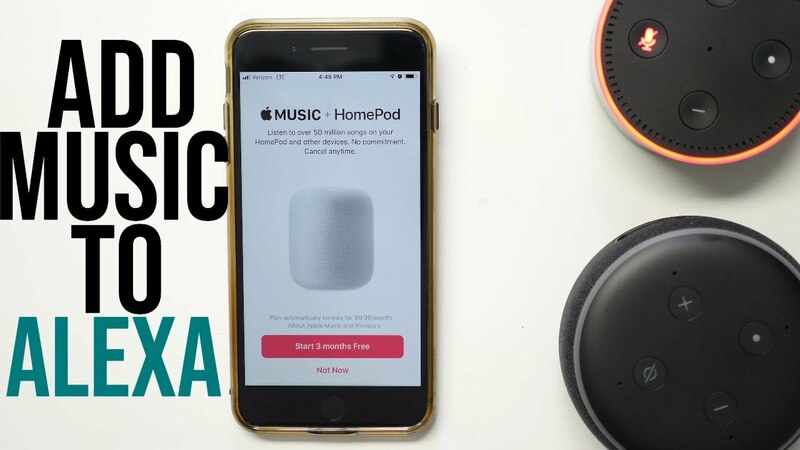 Starting next month, more precisely from December 17, you can connect the Apple Music account to the application of Alexa and then ask the virtual assistant to start playing a song, an album or a playlist. You can therefore interact with the AI ​​through voice commands to start listening to one of the ladders curated by the team of Cupertino, dedicated for example to a particular genre (hip-hop, rock, classical and so on) or a period ( 80s). The catalog includes the Beats 1 station broadcasts with interviews and exclusive content. Since this is a premium access mode to the platform (subscription is required), the reproduction takes place without any kind of advertising interruption. Thus, Dave Limp, Senior Vice President of Amazon Devices, emphasizes the importance of the partnership. Considering that HomePod is not yet available officially in our country, a move of this type makes the device less attractive for those who were waiting for it. The integration of Apple Music on the Echo line confirms how much Amazon is focusing on support for third-party services to push the spread of its smart speakers, smart displays and Alexa . A vision confirmed by the words of Limp, which refers to the API made available to developers in order to make the most of the potential of the assistant. The great rush to tech streaming is increasingly a war of all against everyone. With each player aiming to occupy the market niches already guarded by their competitors. The latest move by Amazon : last since the last autumn of the premium audio streaming service Amazon Music Unlimited, the e-commerce platform founded by Jeff Bezos now offers free to all Amazon Prime customers the Prime Music service that provides music streaming or free download of something like 2 million titles. Amazon Prime customers can listen to up to 40 hours of music every month, without advertising and without additional costs. With Prime Music, Prime customers can choose to listen to music in any way they want. Songs and albums can be chosen individually and listened to several times. Music is available for streaming but also for downloading on mobile devices. This way Amazon Prime customers can access their favorite songs even without an internet connection. Prime Music is available through the Amazon Music app on Android, iOS, PC and Mac, as well as Tablet Fire, Fire TV and Fire TV Stick. Music lovers, in Italy, can also access the complete catalog of the subscription service Amazon Music Unlimited which allows access to over 50 million songs and latest releases and digital music downloads. The range of services available to Prime customers, which already have Prime Video (access to Amazon Original and TV and movie series) and Prime Reading (access to hundreds of eBooks from the Kindle Fire, Kindle device or through the Kindle app for iOS and Android. And it is a message to Spotify, leader in the audio streaming market that looks at the segment they saw, and to Alphabet Google that with YouTube is the leader in the streaming video market but, with YouTube Music, it aimed the audio segment. This feature however is only available to select markets only. YouTube launches YouTube Music, the web platform has announced that in the coming months will be active a new paid service of streaming music similar to Spotify and Apple Music. The new service will allow you to watch videos without ads, to listen to music even by turning off the screen and creating personalized playlists. Youtube Music will currently only be available in Australia, Mexico, South Korea, New Zealand and the United States. In the coming months it will also arrive in the country. The new streaming music service like Spotify, but YouTube, will be paid, with a cost of $ 10 a month around 500 pesos, but there will be an initial free trial period. 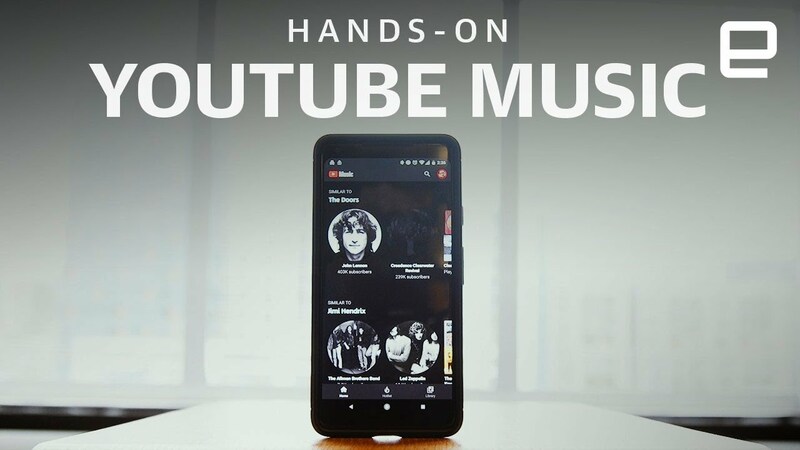 With YouTube Music it will be possible to watch music videos without the interruption of advertising and you can listen to music even by turning off the screen, thus overcoming the limit between the biggest of the music platform. Spotify instead in the last period has canceled all accounts that used the premium version for free by circumventing the system through an unofficial application. On the market, however, there are free alternatives that allow you to listen to music for free: without advertising, choosing songs as you like, but especially offline. Here we have collected the 5 music apps like Spotify but for free. The music streaming has supplanted cd and mp3. In recent years, technology has made great strides and the changes made by the digital revolution for fans of the seven notes were truly incredible. How does it work and which services to contact? Spotify, Apple Music and Google compete for the primacy of the music market: which one to choose? Here you will find a comparison on offers, prices and features of the various services. With music streaming, listening to songs for free or for a fee is really easy. Just a few simple clicks are enough to enjoy the entire catalog of your favorite artists. Are you still stuck to mp3 or cd and you want to know immediately what are the advantages? First of all it is not necessary to download songs by wasting time and occupying memory of smartphones or computers. In second you have available an infinite catalog of songs. And last but not least, this way of listening can be free in a perfectly legal way. The music streaming free made it possible to attract tens of millions of users. For fans there is the possibility to listen to millions of songs at any time from any support able to connect with the internet. Just a smartphone, a tablet or a PC and free apps that you can download below. The price to pay is advertising, or short spots to listen or watch among the songs. For those who do not want to be disturbed, subscriptions are available at really affordable prices. The free music streaming and unlimited access at no cost in the music on the cloud clearly did not like at all to the music industry. But it is the only system that can compete with piracy and patience if small and big stars complain. After years and years of decline, today the turnover of music is growing again. Those who love to listen to canzo or choose to go against the trend, returning to the old vinyl or cassette, or do not have to decide which service to choose among the main protagonists of the moment. With the streaming the record companies , producers and artists earn much less than in the past. Artists like Taylor Swift have always strongly fought against the concept of gratuity of the model of Spotify, market leader. Google has its own Youtube Music that offers playlists created through the Songza service that the company bought some time ago. The market is evolving and not all are aligned on the strategy to be adopted for users. Music streaming which to choose? When it comes to streaming music, the first thing that comes to mind is Spotify. The revolutionary concept of being able to listen to music without having it is linked to this small Swedish startup, which has become a global reality in the distribution of music on the cloud . A continuous stream of notes that makes even download superfluous and that is perfect in an era where everyone is perpetually connected with their smartphones. Spotify, launched in 2008, is the service with more paid and non-paid users. Apple Music was born in June 2015, while YouTube Music in 2018. Which service to choose? For those who are fond of the Apple ecosystem there are no doubts and vice versa for those who love Android, there are many alternatives. If you are simply looking for the best offer to listen to music, all streaming services offer the same catalog of music to discover, simple and fast interfaces, radios and offers based on the family with an identical price. Perhaps on this last aspect Apple has something more, but these are periodic offers: prices are updated frequently to compete in a battle that for once can only encourage users. In addition to the name of the service then in some cases you have to choose between preemium and free. If you are undecided about which system to adopt, take a test, then you can decide. The free services have many limitations, you can not choose the songs and it is more or less frequently interrupted by a pounding spot on dance rhythm. For example, if you like classical listening, interrupting a Bach prelude in this way is not the best. But somebody could do it. In the future probably the totally free listening to songs of your choice in exchange for advertising will be abandoned. Already today the various services offer a mode that allows you to listen for free, in exchange for commercials, not so much singles or albums, but playlists of their artists, as on a radio. To hear exactly the song or album of the desired artist, instead you need to pay a monthly subscription. The catalog of songs of the major music streaming services is practically infinite, with over 30 million songs. These platforms include a radio function with playlists created ad hoc with algorithmic systems, by users, or with a programming chosen by characters, known musicians or DJs. There are also exclusive interviews, guests and much more for genres ranging from independent rock to pop classics. Everything is designed to make users discover new music. The industrial system of streaming is no longer enough for fans to become attached to a handful of artists and listen to them for life. Subscribing makes sense if you are always looking for news. To make the offer attractive, from Spotify to Apple Music, we offer compilations, playlists and rankings of new and constantly updated songs. In addition to the latest releases of the music market, special algorithms suggest the songs to listen based on the tastes of the audience and what each user has previously heard. 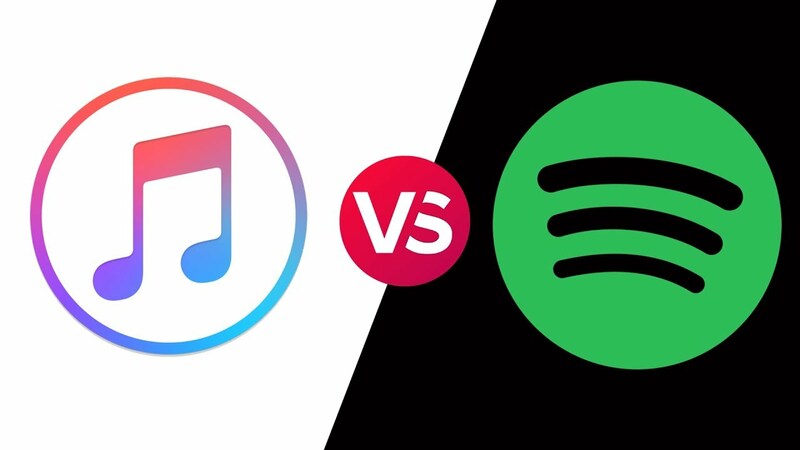 Better Spotify or Apple Music? Apple Music is paid and lets you listen to music only by subscription, except for the first months of testing. After having trampled from the top of his position as a leader of the mp3 services with iTunes, he still wants to be protagonist thanks to the privileged relationships with the majors. Also asking the labels to stop the licenses for free versions of streaming services. So much so as to force the Federal Trade Commission and Justice Department to investigate for abuse of a dominant position in the United States. Spotify has the free option and from the beginning has bet everything on the gratuity of its services, losing millions of dollars every year and then listed on the stock exchange . thanks to over 140 million free users and over 70 million premium subscribers. Certainly the attempt of the music industry is to turn all freemium users into paid users in the belief that only in this way the streaming can become economically sustainable. In short, that of free or paid music streaming is a varied and constantly evolving panorama. The industry's attempt is to turn free premium services into a risk-free operation. Users might decide to go back to torrents, peer to peer, or stream ripping , rather than drop a quart. In the middle there is the future of the music market. Here are the best and most used free and subscription services where you can listen to songs online. Last Fm Lets you listen and discover new music based on previous ratings. It also contains information on artists, albums and tracks, to search for albums, discover similar artists, see events, explore new genres, listen to music and watch videos. In addition to the major music streaming services we have seen to listen to the most famous artists, it is called Soundcloud the largest online platform dedicated to musicians. With this service, amateurs and professionals of all kinds can make the whole world listen to their songs in streaming. The site does a bit with the music that YouTube is for the videos and in fact only a small percentage of users who propose their songs has behind big labels. What is Soundcloud? Listening to the sounds of the NASA space rather than a song from the last singer in the world. Combining the high and the low is the feature that made the success of YouTube and it will not be a coincidence if Soundcloud, born in 2008, already boasts 350 million users of which 175 million active. You can load music for free for up to 3 hours of audio recordings. for those who want more space there are season tickets that offer unlimited space. The business model is therefore centered on small independent artists and musicians, even if its users are tempted by the major record labels that have entered into agreements to enter the catalog. Users can listen to them for free in exchange for advertising, on the model of other streaming sites. But as always when there are millions of clicks, investors and finance move, so much so that Soundcloud is talking about a valuation of 700 million dollars and in the future could be acquired by a large company like Apple or Google. Between 2013 and 2018 the average length of the songs in the Billboard Hot 100, the most cited for international pop music, has dropped from 3 minutes and 50 seconds to 3 minutes and 30 seconds. The calculations made them the American site Quartz, which also analyzed the duration of a series of famous pop and hip hop records of the last few years to show that pop songs are getting shorter. This is not really new: critics and music experts have long highlighted this phenomenon, attributing its main causes to the expansion of streaming music services. Last year, in fact, the streaming has exceeded the digital downloads and sales of physical copies of the albums regarding the total revenues of the world record industry. Services like Spotify and Apple Music have tens of millions of paying subscribers in the world (the most recent data date back to last summer, when the two services had 83 and 40 million subscriptions respectively). The way in which the artists collect from the streams follows different logics than the traditional supports: it is estimated that their actual profit for each single reproduction is between 0.004 and $ 0.008. Streaming services consider a song "played back" when the listener exceeds a certain threshold of seconds, generally around 30. These are very low figures, and in fact the music industry market has been inexorably shrinking for years: but above all it is a type of reproduction that has changed the logic followed by the artists. To simplify a lot: for 15 minutes of reproduced music, an artist who has made five 3-minute songs will earn more than one who has made three 5-minute songs. One of the most critically acclaimed albums in 2018 was Whack World by American rapper Tierra Whack, made up of 15 one-minute songs each. It is a record all in all niche and sought after, so there are good reasons to believe that it was a predominantly artistic choice: but it is representative of a general trend. Last year ye came out , the latest record by rapper Kanye West: it lasted less than 24 minutes, against 66, 40 and 68 of his three previous albums. Quartz has also analyzed the records of Kendrick Lamar, the most celebrated and successful rapper of recent years: in Good Kid, MAAD City of 2012 the fifth song came at minute 19. In To Pimp a Butterflyin 2015 it was instead at minute 16, and in Damn of 2017 already at minute 13. Recently the former director of the music site Pitchfork has endorsed the theory that the main responsibilities of this trend are due to the streaming, writing on Twitter that "there has never been this kind of economic incentive to make shorter songs". In the same discussion, the people responsible for the popular musical podcast Switched On Pop said they were skeptical about the theories that see the causes of this phenomenon in the lower attention span of people today. There is another point to consider. In the last two years there has been a new musical genre that has reversed the balance of mainstream music, in the United States as in Italy: trap music . The vast majority of the artists who do it are very young and have made themselves known on the internet, on YouTube or SoundCloud, and have always preferred short songs, often under three minutes. The fact that the trap is so popular means that there are more and more songs trap in the rankings of the most listened songs, further reducing the average duration.